OOS online and none in 7 local stores. Didn't check any further. LMAO these better work for people who have athletes foot and then their feet end up smelling. I think this is a really good price at 85p each. Yeah it’s doesn’t on the tags, in my store staff noticed the offer so have been telling everybody about it! It’s a great offer! Oh ok I forgot to take a pic of the star buy however it didn't say buy one get one free for the dove item was that on offer. Not sure .. It is instore also. Offer ends Tuesday 23rd! That store haven’t put their starbuy price tags out! 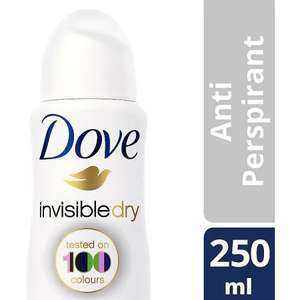 Large 250ml size anti perspirant for £1.39, pretty cheap! It says 250 ml on the can. 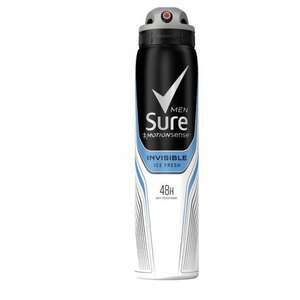 But these are totally different product as they are long lasting deodorant compared to the normal Lynx sprays and do not contain aluminium like most generic long lasting deodorants. What size ml are these? I noticed the other day the xl ones are no where near as cheap as the normal size ones per 100ml. False economy . Xl are 250 ml and normal 150 ml I think . Dont forget to check the coupons from your advantage card, i found one for 10% off buying anti-perspirant deodorant. Another option, thanks (y) * Offer only valid on delivery orders. Cheap price, but I've stopped using the ones with alaminium in them now. Shelf price said £1.88 as well, so definitely it's not a glitch, but I'm not sure if it is nationwide, sorry. Waitrose where selling these for around £5.25 each or 2 for £3 recently. I presume that was a pricing offer. £1.88 is a good price for an excellent product. This is good stuff. Lasts for ages - much better than spray cans. What was the shelf price saying? I.e is this nationwide or a glitch? 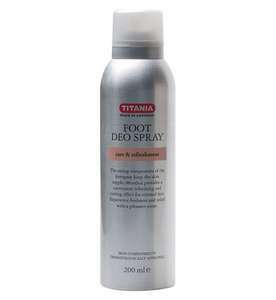 Never miss a 'Deodorant' deal again! Waitrose reduced to clear Green people organic deodorants. They still retail at £10.50 at Ocado and was originally £8.95 at Waitrose. Worth checking your local stores. That's for the spray. The solid underarm bars last ages. Even cheaper if you buy their 1000ml refill bottles. Any aluminium in these? Salt of the Earth are the best value. About £4 and they last at least 6 months. Heat, this smells nice, got one in Japan. Great deal; very rare to get something approaching value for money.. Better than green irish tweed any day!! I am not a prime subscriber so it costs much more mr dumber and it cost me nothing to go to poundland; not time nor money as it is on my way home. For those mentioning the non delivery to Northern Ireland; as far as I'm aware, it's due to the fact that Amazon use air to get the items delivered so quickly. That's why certain battery items have issues, too. And other items which you'd have issues getting on a plane. It's annoying, being from Northern Ireland myself, but in some ways it's mainly due to consumers (our) demand for super fast deliveries that these items are now just becoming 'Does not deliver to Northern Ireland'. What would be good is if we could select a delivery method that uses road/ferry to get these items to us, yes, it would add an extra few days on to delivery, but at least we could order the items again. It's a pressurised container, that's the reason unfortunately. The problems I had getting a mobile phone power pack shipped to Bangor was ridiculous. Got it easier from China than mainland UK. The Lynx is an anti perspirant rather than a body spray. Available for £1.50 each in Poundstretcher. Now there are better choices so why take the risk. Especially in this country the cancer rate is so high. I have seen people turn to eating organic food only after finding they got cancer but before they never cared. Any without alcohol and aluminium. I otherwise use Brut Musk and Lynx sprays without alcohol and aluminium. So what deodorant do you recommend??? No aluminium in deodorants is associated with cancer. Enough said. 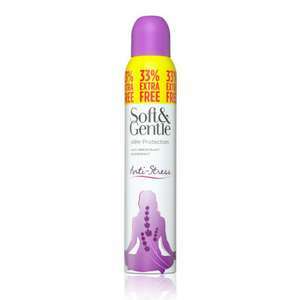 Next price I can find is £1.60 at Superdrug. Nationally being discontinued so check ure local boots! These were found in halesowen. I had 2. Loads left. Just the right size not to take on a plane. Other places sell it as well. Also there is so much choice for alcohol and aluminium free deodorants. I like Musk scent in Brut and all of Unilever Lynx sprays without aluminium. Don't have prime. So probably more without prime subsciption. I get for £1.25 on Amazon Prime subscribe and save. How much does this cost? Looks good. Just use ordinary, non-antibacterial deodorant. And wash regularly, of course. yeah think they realized that people seen through that one. sold them all off dead cheap, can still see some knocking round pound shops. Good price. But I find the Salt of the Earth ones even cheaper. About £4 but they last at least 6 months and don't have aluminium in them, so no more yellow marks on white clothes. what ever happened to compressed cans? A big con? I rather buy deodorant without alcohol and aluminium inside.